Egypt’s President announces he will step down from power come election time in September. Crowds demand he do it now. Egyptian President, Hosni Mubarak, announced on Tuesday that he will not be seeking another term as president. He said, however, that he does not intend on stepping down before the scheduled presidential elections in September. While Mubarak said that “I will not run in the next elections as I spent enough time serving Egypt,” he added that “I was born in Egypt, I defended Egypt, and I will die in Egypt,” clarifying that he has no intentions of leaving the country even after his term as president concludes. 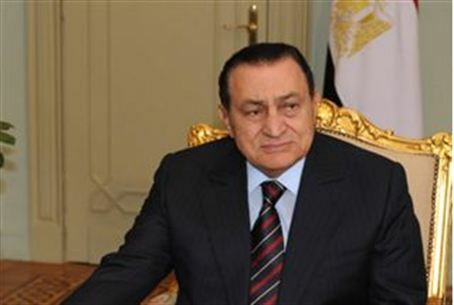 Mubarak announced that the law in Egypt would be changed to ensure open and fair competition for the presidency. Thus, Mubarak responded to the American demand that he announce the end of his presidency and prepare for a transition to democratic elections. The protests in Cairo continued even after Mubarak’s announcement. The demonstrators continued to call for Mubarak’s immediate resignation. Mohamed ElBaradei, one of the leaders of the opposition against Mubarak, said that the president’s words are not sufficient and that he should resign immediately.